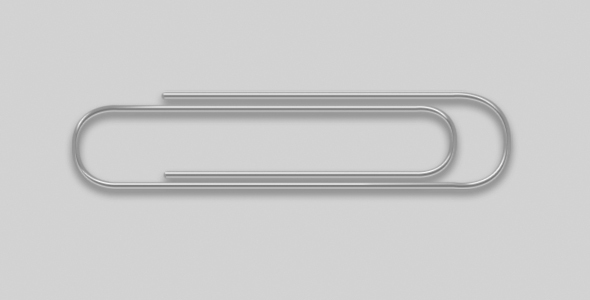 In this tutorial, I’ll show you how easy it can be to create a realistic paperclip from scratch. Typically, I would approach a project like this with heavy use of Layer Styles. However, I wanted to share a technique in which I rely on a single path to build the paperclip. Enjoy! This entry was posted in Tutorials and tagged Paper Clip, Photoshop, Tutorial. Bookmark the permalink.